Our workshop breathes expertise. Large and small balance machines, computers and the most modern measurement equipment surround our experienced, well educated and skilled workers during the balancing of an endless variety of products. All machinery and tools are solely used for balancing. 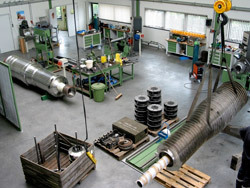 This exclusiveness of our workshop is unique within the Netherlands. On top of that, this specialization guarantees a quick and accurate balance result. Before any new, repaired or overhauled rotating part can be put into service it will have to be balanced first. The workshop of van Geffen VMS offers a solution for small and large rotors ranging from less than 500 grams till over 5,500 kilograms. Our 5 modern balancing machines and over 20 years of experience guarantee an accurate balance result every time. 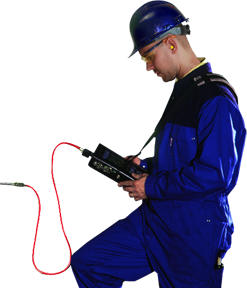 The following link shows an up-to-date overview of the technical specifications of our balancing equipment.